Michelle is a practicing Psychologist, and a Postdoctoral Researcher with the University of Western Australia. Originally from a small country town in the wheatbelt, Michelle moved to Perth to complete a Doctor of Philosophy and Master of Clinical Psychology with the University of Western Australia. During her undergraduate degree in Psychology, she worked as a Sleep Technologist and noticed the synergistic relationship between psychological problems and sleep problems. This fuelled Michelle’s interest in working with people with dual issues in sleep and psychology. 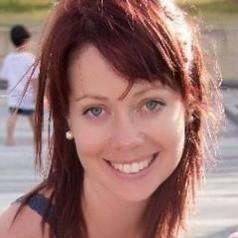 In her clinical work, Michelle has a patient centred approach and largely uses Cognitive Behavioural Therapy techniques. Her research agenda includes close examination of the impact of sleep disorders on thinking skills.